The TPT XOXO sale is almost here! Save 25% off my entire store - yes, even bundles! - with promo code XOXO. But hurry! 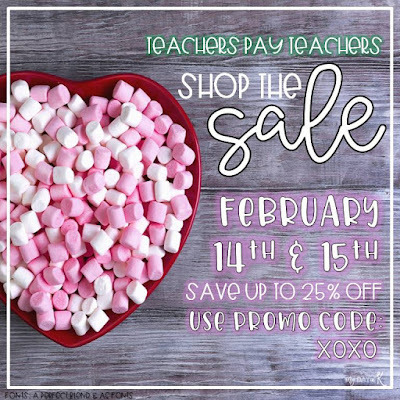 The sale is only February 14th and 15th so check it out now: iHeartLiteracy TPT Sale!